I truly enjoy reviewing products. Getting to try new products is neat but I am a little sadistic in the way that I want to truly put the product through its paces before I tell you about them. Enter Grabgreen eco friendly cleaning products. 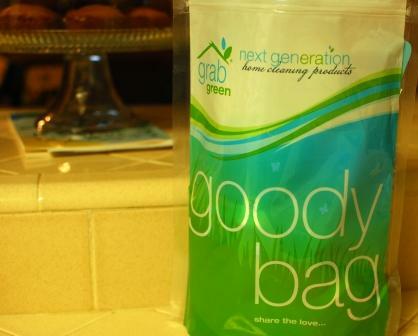 Grabgreen says that it is bridging the gap between conventional cleaners and their eco-friendly counterparts. Hmmm... Okay, but do they work? Grabgreen says that they are convenient like conventional cleaners but made with healthier compounds. Right...but does it work? Grabgreen says it out performs all other eco-friendly cleaners...we'll see about that. I make my own eco-friendly cleaners and I'm confident in their eco-friendliness and pretty happy with their performance so convince me Grabgreen. 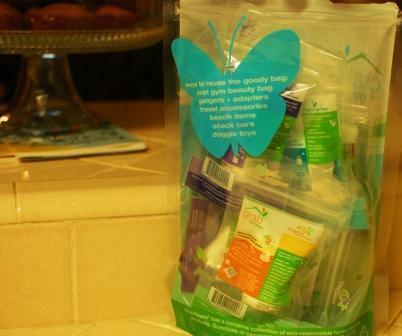 I was sent a grab bag of products from their laundry and dish detergent lines. And I quickly set about putting the products to the test. Speaking of laundry, that too got a little Grabgreen treatment. The Grab Green package said that I may need two pouches for extra gross laundry or large loads and in this case, the load fell under both categories. When my dishes were finished, they were sparkling and when my laundry was finished it was no longer smelly. In fact both my dishes and my clothes had a lovely light fragrance. So what makes this product any different than my homemade detergents? Two things: convenience and scent. And even though my cleaners have a pleasant scent, they don't necessarily have a lingering light scent like the Grabgreen detergents. I love the red pear & magnolia, and frankly anything that's scented with lavender gets my vote every time. You can find Grabgreen eco-friendly cleaning products in stores nationwide as well as in Canada, Japan, South Africa and Australia. I was sent a bag of samples from Grabgreen to facilitate my review. All opinions, nasty dishes, and funky laundry are my own.